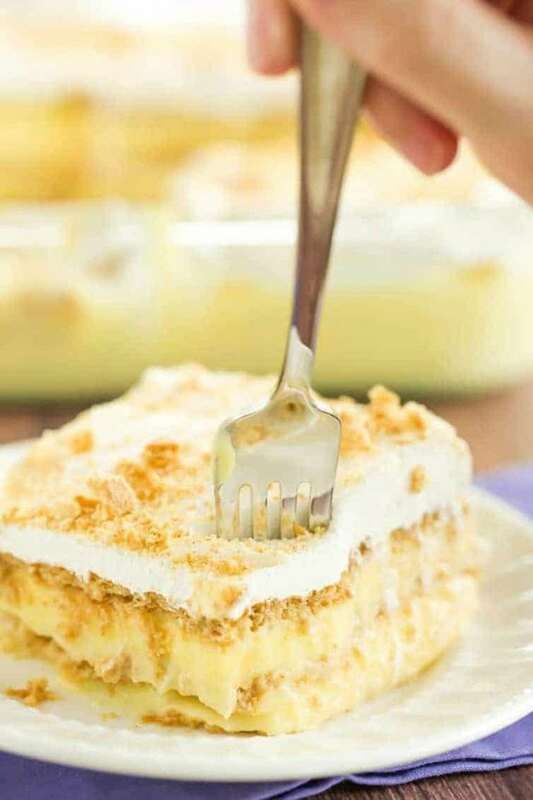 Icebox Cakes ~ is there anything better than sinking your fork into a creamy icebox cake on a sweltering night? I don’t think so. 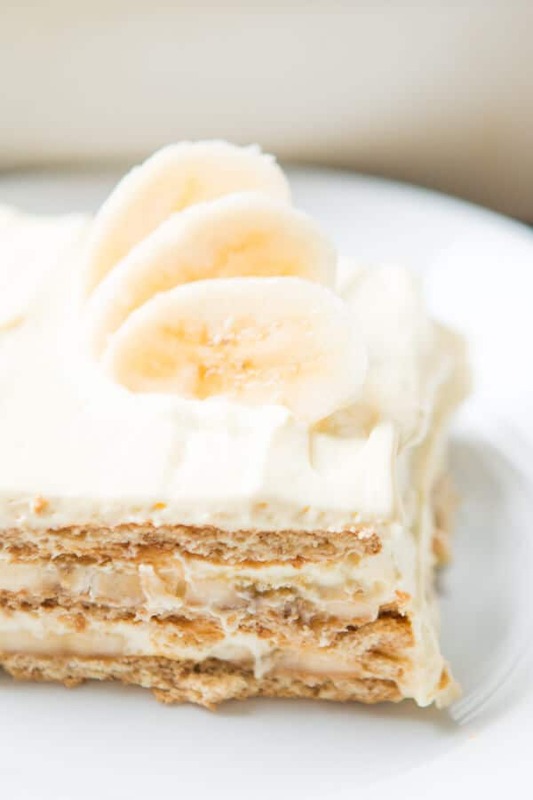 Here are some of the best easy icebox cake recipes out there, choose one and make it today! 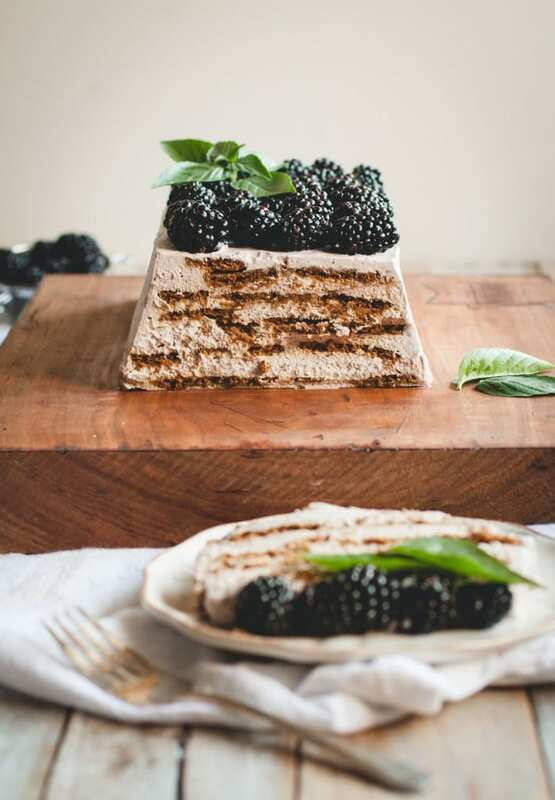 Marscapone cheese lends a cool, tangy note to this beautiful blackberry and gingersnap icebox cake. 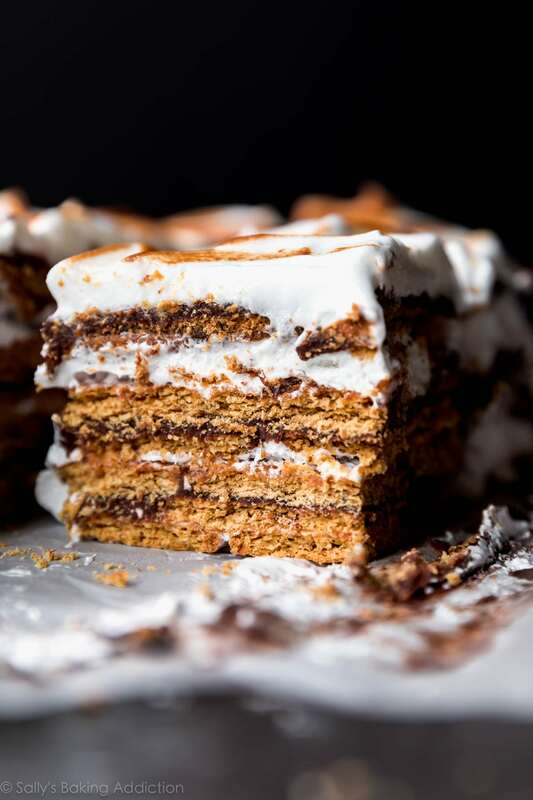 Using graham crackers for the layers of this no-bake s’mores cakes makes it quick and easy to put together. 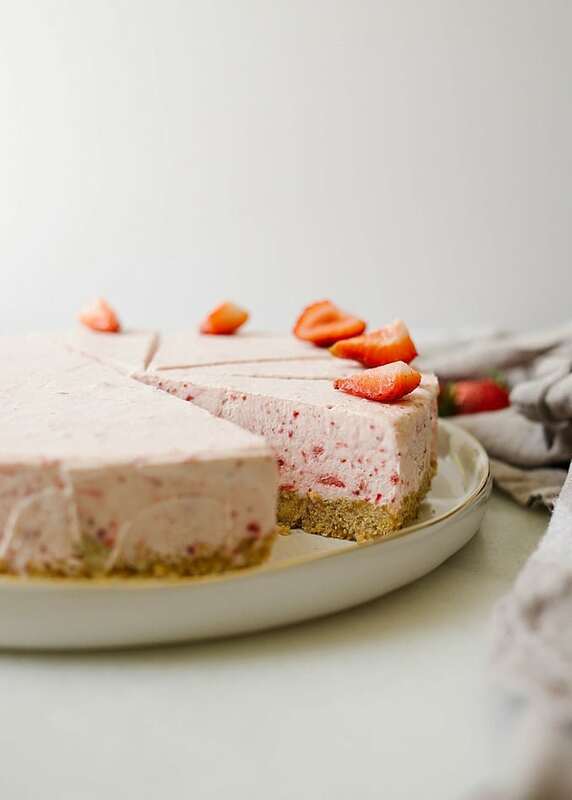 They soften as the cake sits in the fridge and create the most amazing texture. 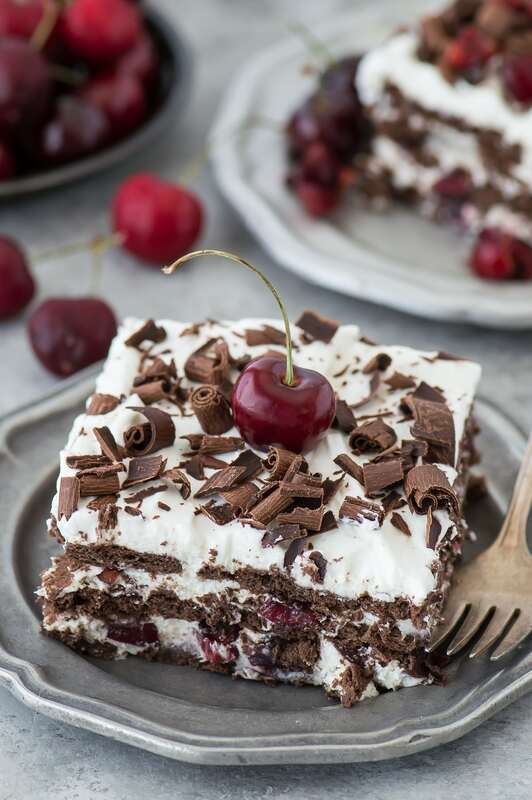 Grab some fresh cherries to make this chocolatey icebox cake with a German twist. Don’t you want to sink your fork into this one? 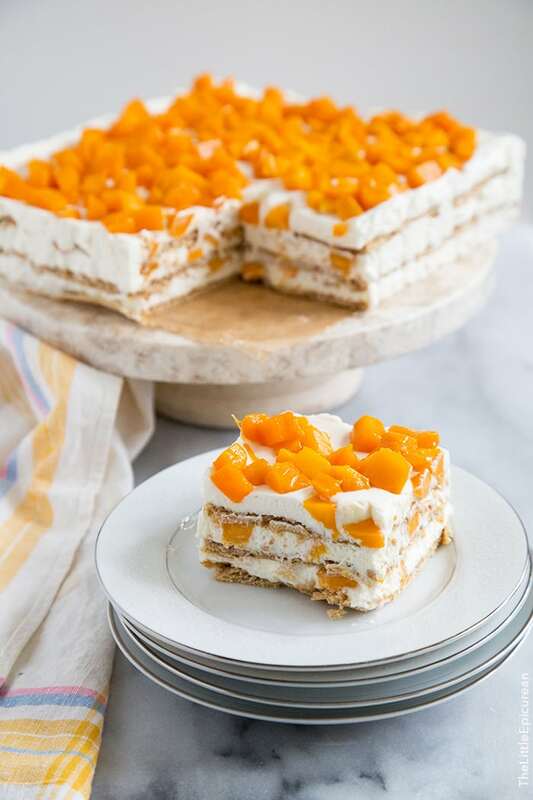 Nobody will be expecting this little cake topped with juicy mangoes. 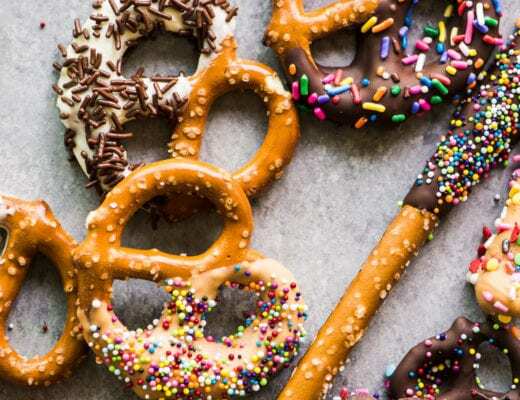 These are super cute, and so easy even the kids can help make them. 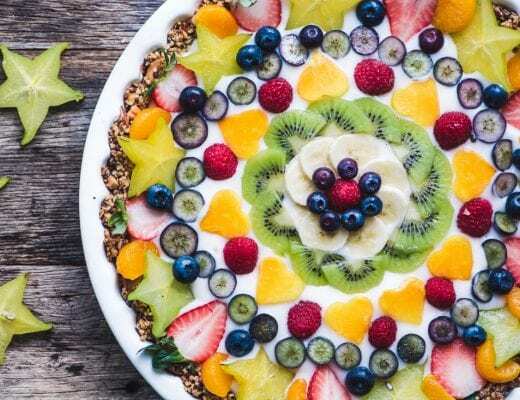 This berrylicious icebox pie could be changed up with lots of different berries. 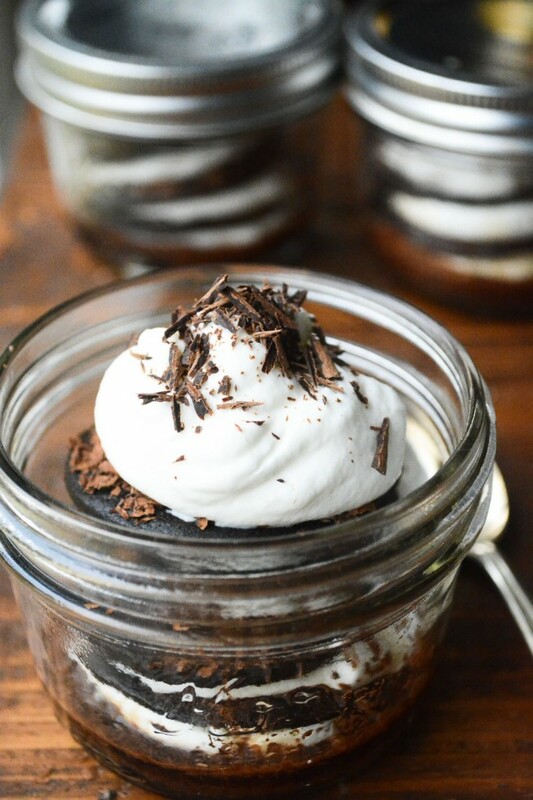 These individual tiramisu-inspired icebox cakes are perfectly portioned and portable! 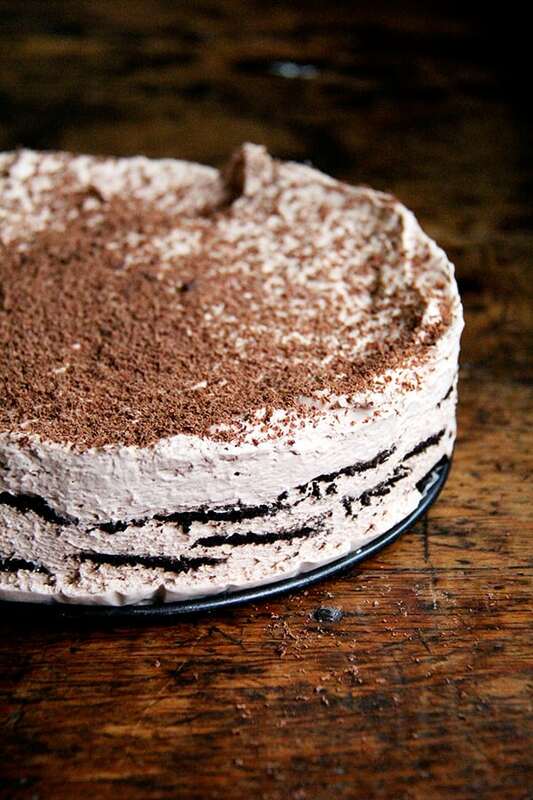 Nobody does ice box cakes like grandma. If this doesn’t ‘wow’ them, nothing will! 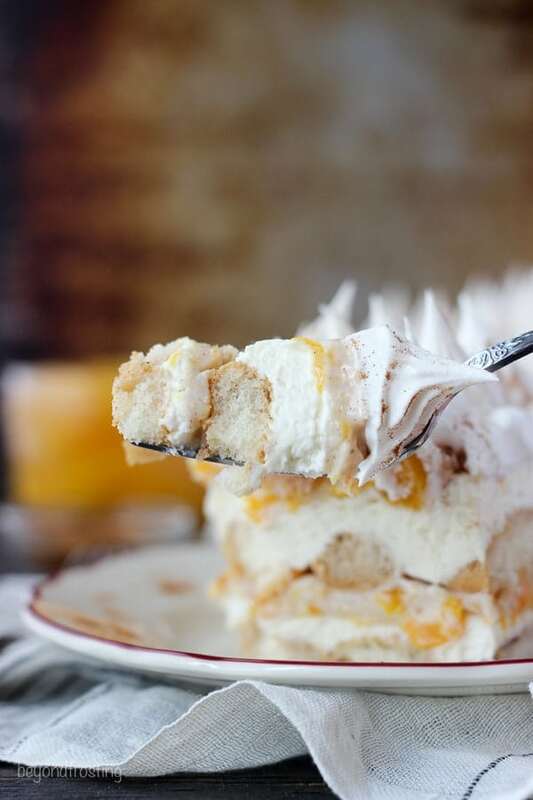 Ladyfingers soaked in bourbon give this cool peach icebook cake a kick! 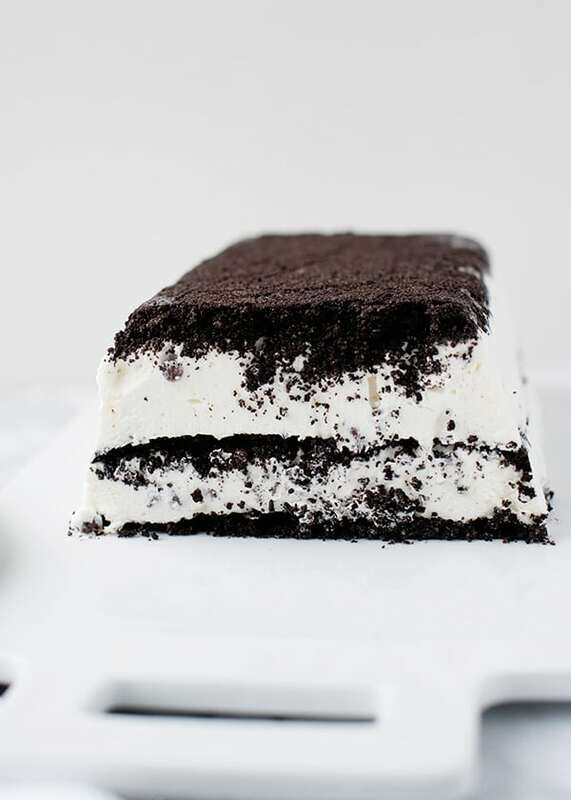 This icebox takes all of 20 minutes to make, and has rave reviews ~ it’s a no-brainer. 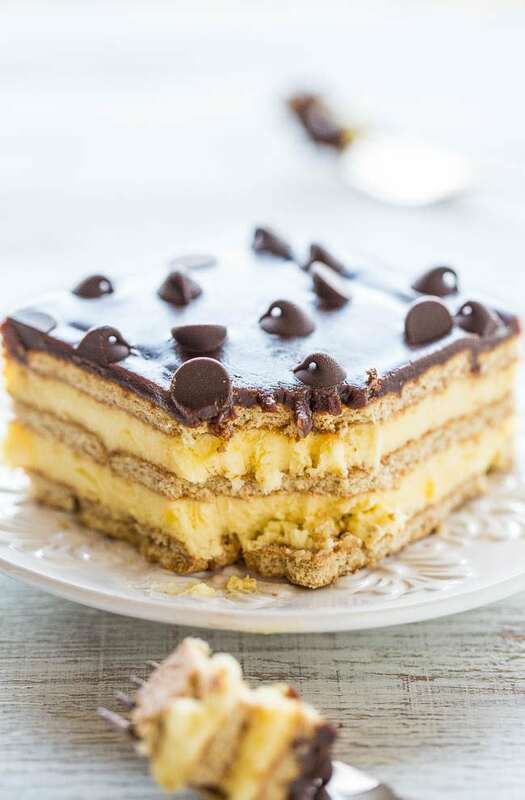 This beautiful terrine-like icebox cake looks impressive but is easy to put together, and even easier to eat! This one is so creative, I’m craving that custard filling. 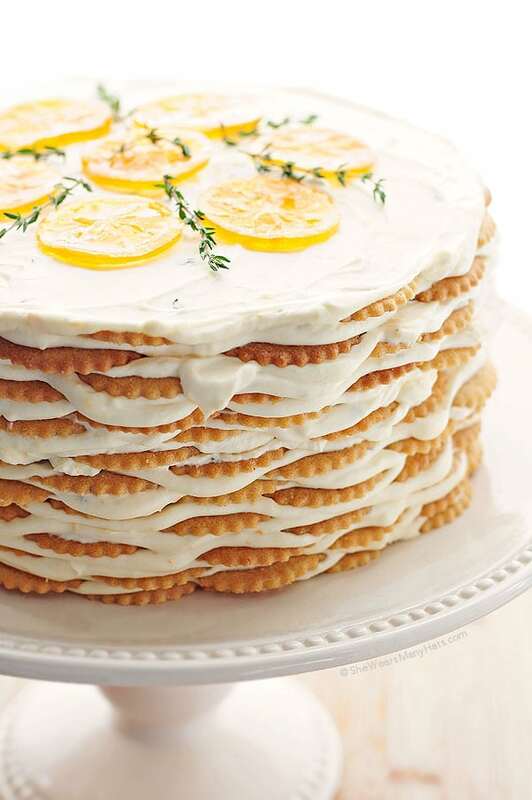 This epic lemony layer cake is fun to assemble and is pretty much the dictionary definition of refreshing.. 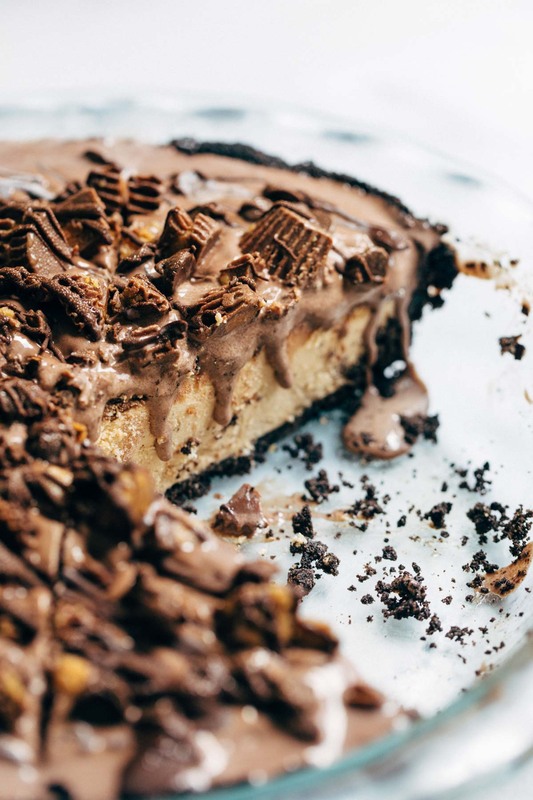 This cake includes a no-bake cheesecake layer AND an ice cream layer–it’s a peanut-butter-and-chocolate-lover’s dream. 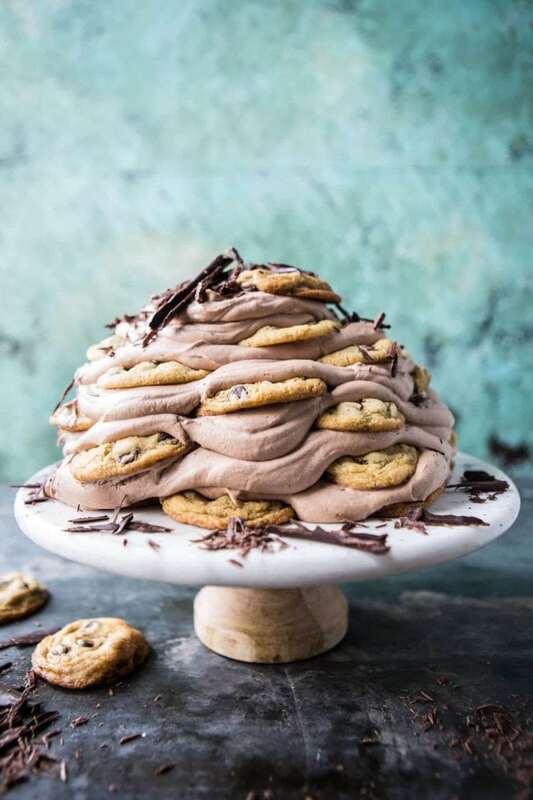 Icebox cakes are a must for summer, what a delicious round up! I would like to thank you in advance. I recently lost over 15 pounds and now I’m about to blow it! The Meyer Lemon looks killer! 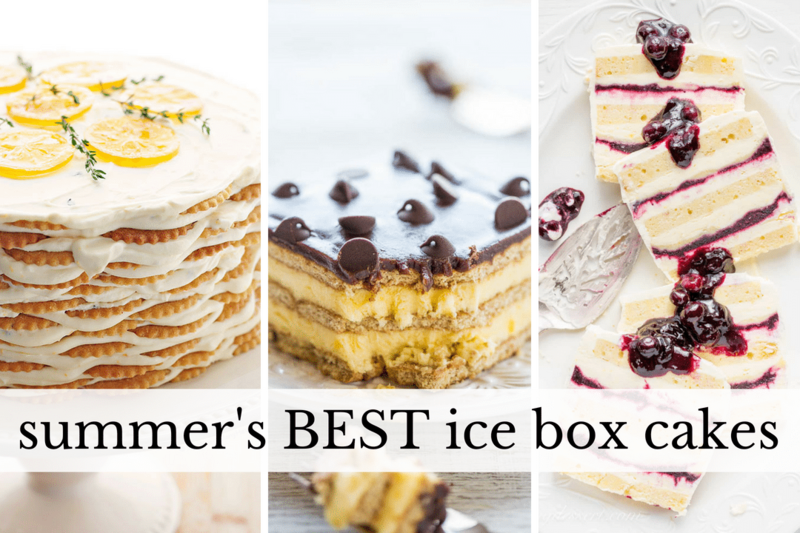 My goodness this is a lovely array of summer-perfect icebox cakes! 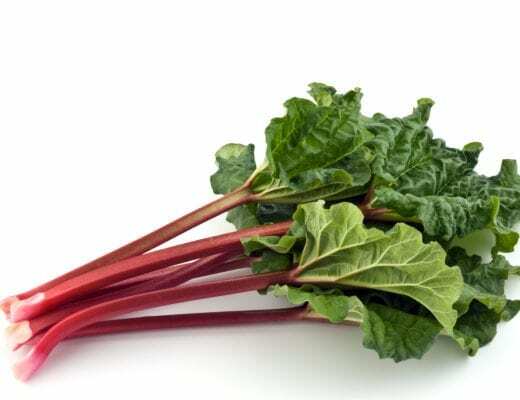 I see several that I must make – so many recipes, so little time! Thanks for the link-love ;) Have a terrific week! Truly love your recipe posts, however, I find the advertisements irksome in that they slow the delivery of content. 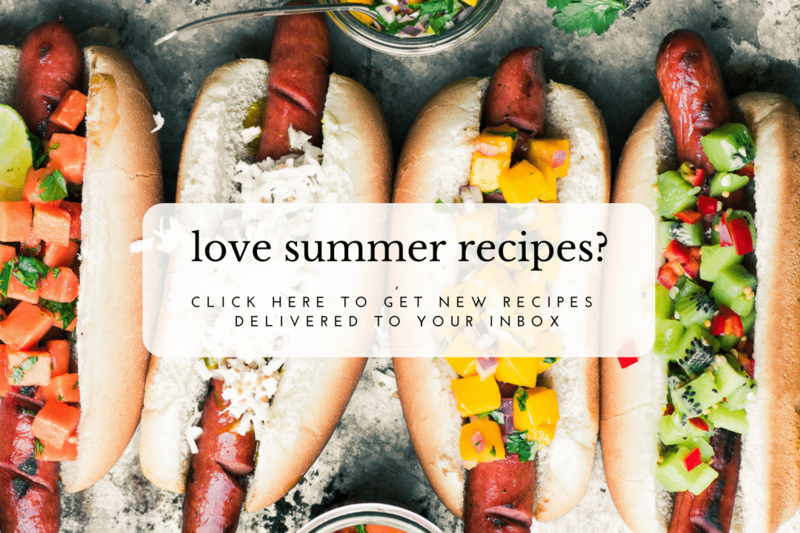 I want to read what you have to say and the glorious recipes you share without the annoying advertisements. What would it take to eliminate the adverts? Hi Pamela, I know ads can be annoying, sorry. They are more obvious on these ’round up’ posts where there is a lineup of photos with little text. The advertisements are my main source of income, and unfortunately the blog could not exist without them. It’s a constant struggle for me to try and balance the need for income with the user experience, and I’m sorry it tipped the wrong way for you. Just know that I’m aware and I’m working on trying to solve the issues :) Thanks for your support and your patience. These take my breath away ! Me too ~ especially the cookies and cream one. 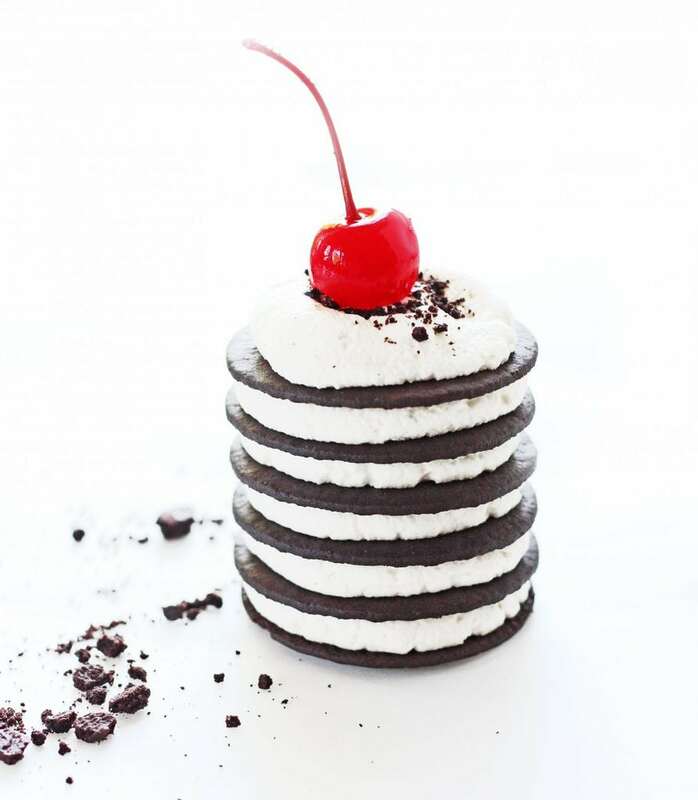 Now I’m wanting ice cream cake – for breakfast! So many amazing and beautiful options! 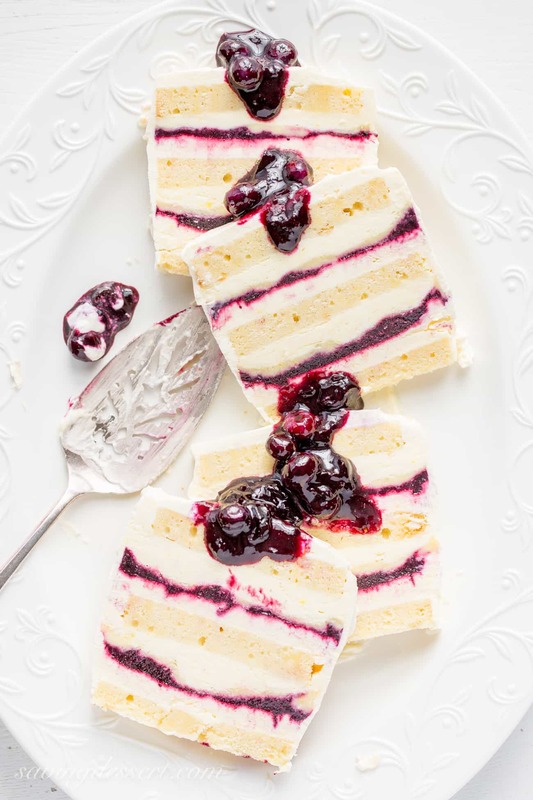 Oooh you just gave me a great idea to develop a yogurt breakfast icebox cake!